WHAT DO THE PUBLIC THINK ABOUT OUR TOWN SHOW? Alayne Gagen- Fabulous day , weather good and a lot of people to support it all. Many thanks to all involved. Brendan O'Neill- Super day, one for the whole town to be proud of. Well done & thanks to the organisers. Karl Bate- Brilliant day, thank you and congratulations to all involved in its organising, see you next year. Andrew Beckett- Was really well organised and a bit of everything for everyone. Big pat on the back all round and the whole town been buzzing. Alayne Gagen- Was a lovely day and a fab turnout too. Loved the scarecrows too. John Emmerson- Took my grandkids over from abroad where they live. We all had a great time, thanks so much to the organisers and volunteers. 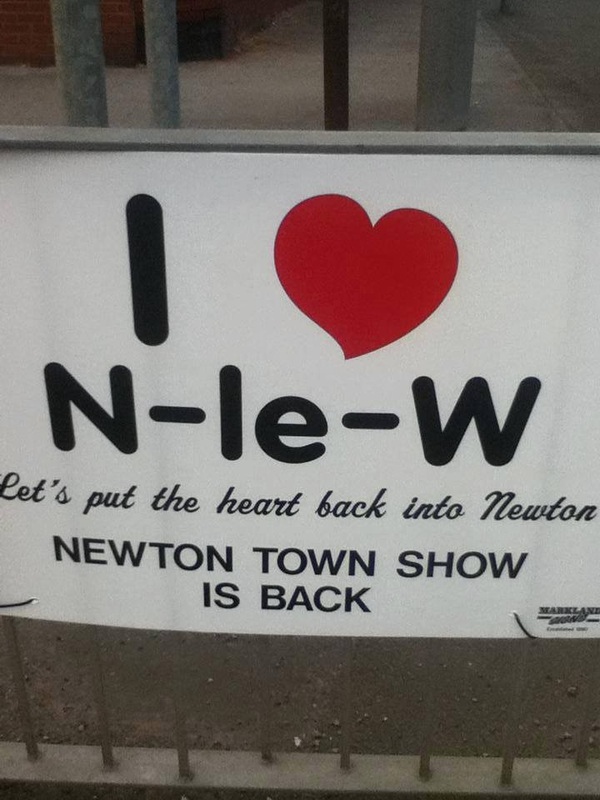 June Glascott- After visiting "The Town Show" this afternoon it made us proud to be from Newton-le-Willows/Earlestown. Really well attended and every one seemed to be enjoying the event. Well done to everyone concerned in arranging it. Tilly Button- Can I just give a HUGE thank you to the organisers and volunteers over at the town show today. My son had his first NLW town show experience and had an absolute ball - you guys are bloody amazing. I’ve never seen a town come together and put on something so fun and inclusive! Angela Carey- Loved newton town show today! Well done organisers & volunteers! Michael Lysons- Newton Town Show was the best one I’ve been to so far. Fantastic work by the team that put it together. Well done to @NECG2012 and everyone else involved! Valley Brass Band- Great concert with our training band at Newton Show this afternoon! Jeanie Bell- Absolutely gorgeous weather for the Town Show today in Newton. Just a brilliant event organised by @NECG2012. Thanks for all you do all year round to make this happen, it's incredible.